Where’s the beef? 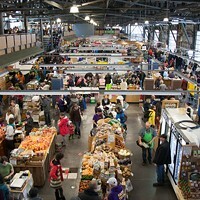 It’s here, the first year at the Seaport Market. The Getaway Farm raises its cattle with a strict grass-feeding policy, rather than using grain. The result is a healthier cut of meat. 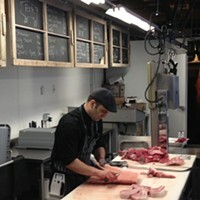 Everything at the stall is freshly cut and unfrozen, and the staff will help with any cooking or recipe questions you may have. If buying in bulk is your thing, order one of the many different Getaway Farm freezer boxes available.